WHITNEY HOUSTON: 1st part. The goddess dies young. It is difficult to summarize in this blog the wealth and short, but brilliant career of Whitney Houston. So I'll make some personal appreciations about this American singer and actress. She was born in New Jersey in August 1963. From a family of female singers like her mother, her cousin Dianne Wuorky and as godmother Aretha Franklin. At the beginning of the eighties her face appeared in magazines and her first album was released. Someone from the record company said that her appearance was "very ethnic" because she had not hair, they did not value her vocal quality. From then, she wore wigs of all colors and appeared beautiful and spectacular with her honey-colored complexion and curvy body. She does not know how to dance. But when she sang, everyone fell silent and the miracle exploded. Her powerful and rich voice, luminous, powerful, fresh and pure, made her nickname "the voice". Ann Powers of the Los Angeles Times refers to the singer as a "national treasure"
Her albums broke all sales records in the United States and the United Kingdom. Numerous Grammy awards, Golden Globe and topped the list of the Bill Board Magazine on several occasions. She entered the cinema. Her main film "The Body Guard" was seen by millions of filmmlover and the soundtrack was a best seller. Being in Cuba I remember that the national TV exhibited it for the end of the year. Whitney's performance was good but Kevin Costner's almost ruined the movie, with his fuc ... face, permanent he wanted to imitate a real bodyguard. The song Whitney plays almost at the end of the film I Will AlWAYS LOVE YOU was a sales record. Written a few years earlier by country singer Dolly Parton, It is still the most sold song by a female singer of all time. I prefer to theme of the referred film "I HAVE NOTHING" to all others. In January of 1991, she sang the national anthem of the United States, "The Star Spangled Banner", in the Super Bowl No. XXV (the final of American football) held in Tampa (Florida). This interpretation was later recorded as simple due to popular demand, reaching the number 20 in the United States, being the only version of the American anthem that manages to be a best seller, obtaining the platinum disc. The single also helped raise funds for the American Red Cross for the benefit of Gulf War Veterans and their families. The artist's representatives confirmed the separation of the Brown-Houston marriage, which ended ended in divorce on April 24, 2007, obtaining her custody of her daughter. It is said that the rapper hit her and the beginning in the rite of drugs for which she received several tickets for rehabilitation. On Thursday, February 9, 2012, Houston met with singers Brandy Norwood and Monica Arnold, along with her producer Clive Davis, to perform their rehearsals for the 2012 Grammy Awards pre-party. That same day, she gave her final public performance, when she joined Kelly Price on stage and sang together "Jesus Loves Me", during the party. 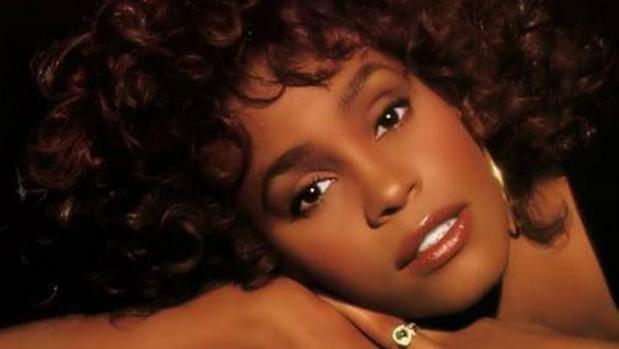 Two days later, on February 11, 2012 Whitney Houston died at the age of 48 in a hotel in Beverly Hills (Los Angeles), initially for unknown reasons.